Product prices and availability are accurate as of 2019-04-20 22:23:53 BST and are subject to change. Any price and availability information displayed on http://www.amazon.co.uk/ at the time of purchase will apply to the purchase of this product. Racing Bikes are delighted to present the brilliant Viking Elysee Ladies Road Race Bike 14 Speed 700c Wheels New. With so many on offer recently, it is great to have a name you can trust. The Viking Elysee Ladies Road Race Bike 14 Speed 700c Wheels New is certainly that and will be a perfect buy. 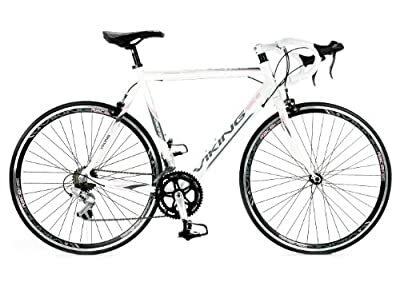 For this great price, the Viking Elysee Ladies Road Race Bike 14 Speed 700c Wheels New is widely respected and is a popular choice for lots of people. Viking have added some nice touches and this means good value for money. First established in Wolverhampton in 1908 the Viking brand has a history, rich in the tradition of top quality road bikes throughout the century. Quality, style and durability have always been the hallmarks of Viking cycles. Model Type : Ladies specific lightweight road bike.. Frame Construction : Female specific geometry. Handcrafted 6061 aluminium with mudguard clearance. Replaceable gear dropout. 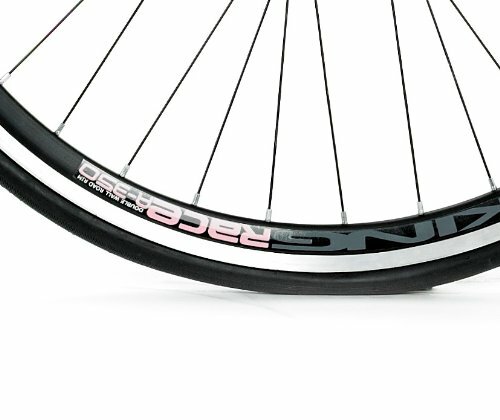 Forks :Hi-Ten steel with tapered blades and mudguards clearance. Wheel Size :700c with 23c all black slick road tyres. Gear System : 14 speed Shimano STI gear/brake integrated shifters. Shimano front and rear derailleurs. Prowheel alloy double 52/42T chainset with alloy 170mm cranks. 14-28 Shimano freewheel. Cartridge sealed bottom bracket. Wheel Specification :36 hole Viking 700c double wall deep section alloy rims with CNC walls. Black spokes. 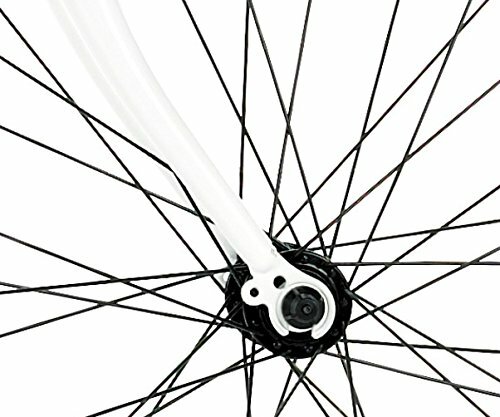 Alloy hubs, quick release front axle. Brakes : Shimano STI brake levers. Alloy side pull dual pivot calliper brakes. Handlebar and Stem : Promax alloy white ahead stem with Promax 42cm race bars. Low stack headset. White cork tape. Additional Information :Viking ladies race saddle, micro adjust alloy seat pin. Steel caged pedals with toe clips and straps. Weight: 11.90 kg. Frame Colour : Gloss White. Fork : Gloss White. Cycle Condition : New. This bike is shipped 90% assembled in a sealed box. Inflation of tyres, fitting of pedals, stem, handlebars, front wheel, front brake cable, saddle and seatpost are necessary. Gears and brakes may require some adjustment prior to riding. Model Type : Ladies specific lightweight road bike. Frame Colour : Gloss White. Fork : Gloss White. Wheel Size :700c with 23c all black slick road tyres. Weight: 11.90 kg.